A sturdy eye mask with loop designs on the forehead, a black base coat of paint, with color highlights around the eyes. Paint and glitter swirl designs accent this mask. A fabric rose with glitter accents sits at the bottom of a cluster of decorative feathers. 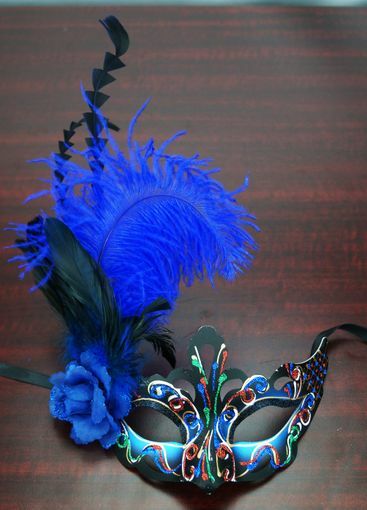 This mask measures 7.5IN X 4.75IN, and comes with black ribbon ties.